Alas, the first two fade into flavor memory, with their sources boarded up or bulldozed, leaving only the hummus to see me through good times and bad. It’s matter of texture. 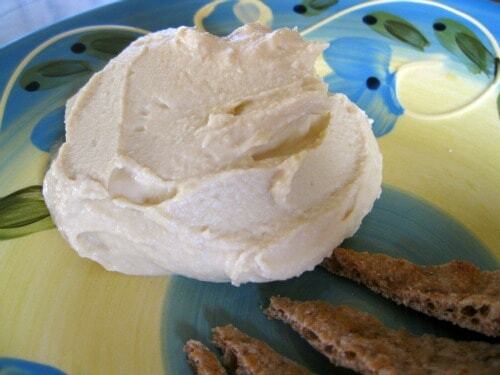 This hummus is smooth, almost whipped, coupled with sharp and deep flavor. It boasts early beyond-nutty notes and lingering citrus ones. How someone might coax that distinct edge from just four ingredients astounds me. Four. One of them is not garlic. It turns out that I’m a major tahini snob. The original Ali Baba Grill sits in Golden, Colorado, at the base of our canyon. The hummus from the restaurant is legendary. 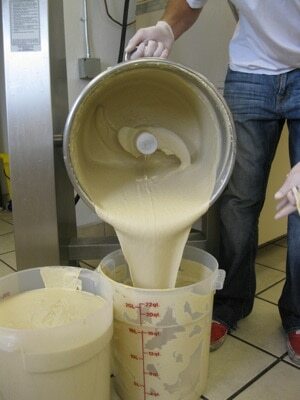 And thanks to a personal tour of the hummus-making process, now I know why. 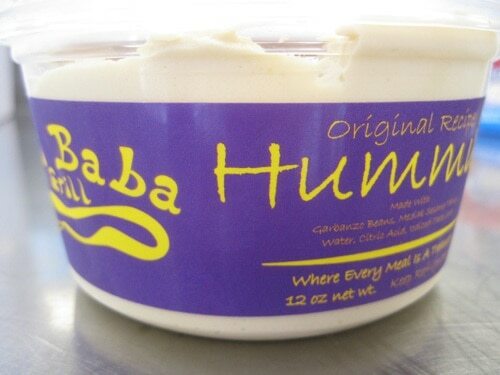 Made from just garbanzo beans, tahini, salt, and crystallized lemon (the FDA doesn’t allow fresh lemon juice), the almost-whipped texture and high-quality tahini make all the difference in Ali Baba hummus. Mere mortal tahini is made from any old sesame seeds that get toasted and hulled just four times. The divine tahini used by Ali Baba is made in Turkey (by a Colorado company) from a Sudanese variety of sesame seeds, toasted and hulled nine times before being ground into the paste that gives Ali Baba hummus its distinct body and flavor. The Ali Baba hummus sold in stores is somewhat “Americanized” compared to what Ali Baba’s chefs make fresh each day in the restaurants. The store version is a tad lighter in flavor, with less carry-through tahini. But it’s still miles beyond the mass-produced versions, and thanks to agreements with Whole Foods and Vitamin Cottage, people outside my hometown and outside the state can enjoy fresh Ali Baba hummus and baba ghanouj (original flavors and a dozen new ones coming soon … for fans of snack dips). Rejoice. Seriously. Go hop around for a minute. I’ll wait. As of July 2011, if you live in Colorado, Utah, Wyoming, New Mexico, Kansas, Oklahoma, and Texas you can get Ali Baba products. Through a new deal via Albert’s Organics, additional stores (mostly independent ones) in these states will soon carry the products as well. The plan is to continue expanding West. Sorry to those East. In the next six months, Ali Baba expects demand to increase by 100 percent, which is why they’ll move from a shared commercial kitchen space into their own facility, with three commercial food processors and a huge dispensing and packaging machine, by early 2012. Syrian native Fiyahd Aoutabachi, who trained and worked as a chef in Saudi Arabia, and Lebanese native Mahmoud Dukmak, who learned the art of hospitality in Syria, founded the first Ali Baba restaurant in 2000 and later expanded—doubling the size of the original location, adding another one, and soon trying an express location. 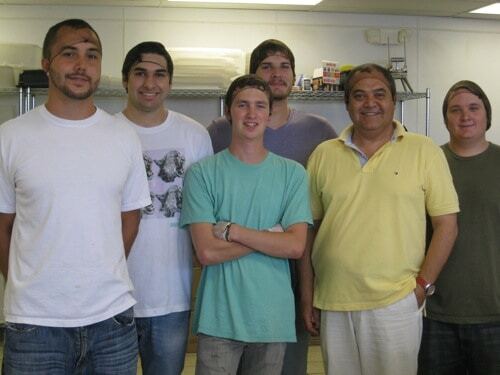 It’s a family- and extended-family-run business that also includes Hejazi’s son Akram Hejazi and several longtime Ali Baba employees, who were super sweet and pretended to remember me from the restaurant, even though I’m sure I came across like a hummus groupie during my tour. Well, I am a hummus groupie. But only for the good stuff.